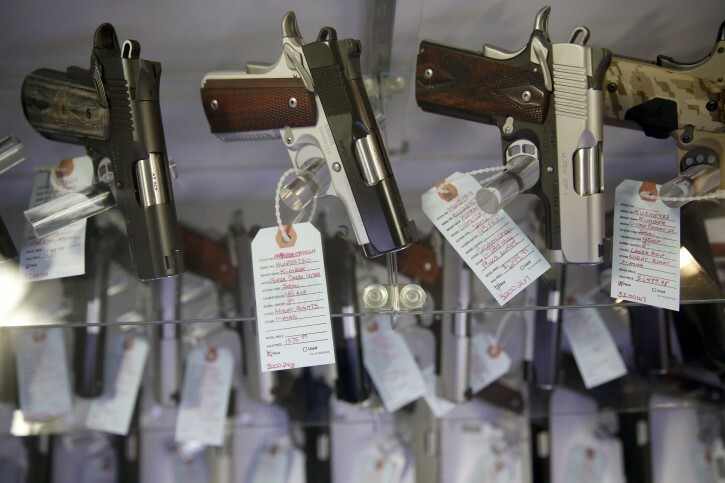 Washington - Black Friday broke an FBI record for the number of firearms background checks. The agency said Tuesday that it processed 185,345 background checks — roughly two per second — on the same day that three people were killed and nine others wounded in an attack at a Planned Parenthood office in Colorado. The FBI received about 5 percent fewer background check requests on Black Friday in 2014, the agency said. FBI background checks processed by the National Instant Criminal Background Check System are conducted for gun purchases from federally licensed deals and for permits to carry guns. A background check does not mean a gun was purchased, but manufacturers rely on the background check statistics as a measurement of the industry’s health. The previous record for the most background checks in a single day was Dec. 21, 2012, about a week after 20 children and six adults were shot to death in a Connecticut elementary school. The week following the shootings at Sandy Hook Elementary School saw the processing of 953,613 gun background checks. After the Colorado shootings, President Barack Obama again called for stricter limits on the availability of guns.